It's become a new trend for gyms to not just provide clients with workout schedules but also with the health food that they need for overall fitness. The Indian population residing in urban areas is expected to reach 32 per cent by 2020. This urbanisation is seen to be having a direct impact on lifestyles and so, staying fit and eating right is fast coming into play. The Indian gyms and fitness centres market size is worth Rs 4,500 crore, and is growing at 16-18 per cent per year. The health and wellness foods market of India is worth Rs 33,000 crore and is growing at over 8 per cent per year. Combine these two and it looks like a promising trend. Yes, it is the fitness centres that are becoming the new favoured destinations for health food. 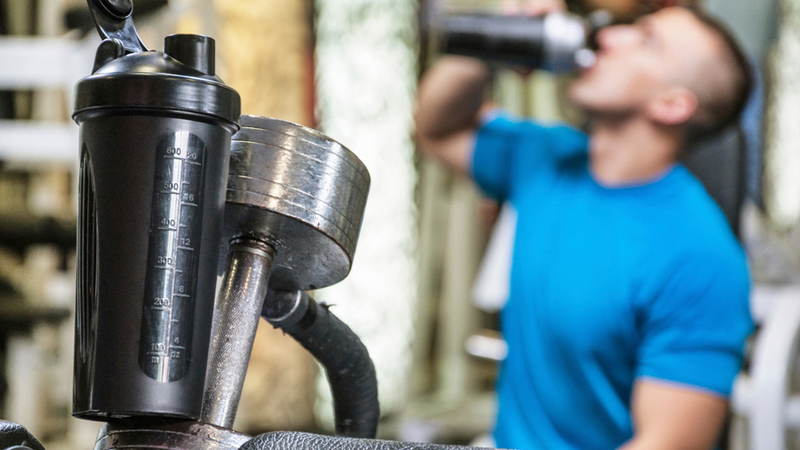 A growing number of gyms now prefer to keep health supplements and foods like protein shakes, protein bars, protein chips, detox waters, energy drinks and even dairy foods like yogurts and tofu, to be sold directly to the clients. In fact, many gyms have started going with the concept of having their own shops and cafeterias for these foods. For example, one of the leading fitness chains of India, Gold’s Gym now has a cafeteria at some of its branches for detox waters, health foods and more. While fitness centres are gradually expanding viz-a-viz space to accommodate food, a vital element of fitness, the makers of these health foods also think it’s a great idea. “This format certainly has a bright future both from a financial as well as a convenience stand point,” says Vijay Uttarwar, Founder and CEO, Naturell India (the makers of Max Protein bars and Max Protein chips). “It’s a convenient format. Whoever is coming to the workout place, you want to give whatever is required by them. Health is not just about working out, but also about eating right, and gyms are understanding that. So when people work out, they need a good amount of protein right there, and if they get it right there, there’s nothing like it,” explains Uttarwar. While fitness centres have begun the trend of becoming the new retail stores for fitness foods, some, which are yet to take this decision, have begun branding food if not directly selling it. Some branches under the Talwalkar’s fitness centres have a tie-up with Naturell India for the branding of their protein bars and gyms. These trends of selling and branding health foods do not stay restricted to the leading fitness chains of India. Scattered fitness centres in Tier II and Tier III cities are also understanding the need of the hour and have implemented this trend. The Woodhouse Gym and Spa in Ludhiana, Platinum Gym in Faridabad are a few of such fitness centres that provide their clients not just with workout facilities, but also with health foods and drinks. Sales or branding of products at fitness centres are not just restricted to food. Many fitness centres are looking at wider areas. For example, Reebok Crossfit Gurgaon has T-shirts on display to be sold to the clients. Such a trend is followed by SportsFit gymnasiums too, selling merchandise at their fitness centres. The road to perfection with this synergy is still a long one with India’s fitness industry being an unorganised one. “It is an unstructured space that needs a formal framework for effective operation without side effects,” says Ramachandran. 3 Factors Booming the Fitness Industry..
Marketing Ideas For New Year..
Growth Factors of Indian Aesthetic Industry..
In-vitro Fertilisation Market- The Hope to Many..
Is Beverages A New Trend in Catering..
BMC Gifts Rooftop Restaurants to Mumbai.. Scaling the Great Oasis of Excellence..
3 Innovations in the World of Yoga.. Enrich the Quality of Education by Indian Heritage..
5 international beauty brands eyeing India..
Dynamics of Indian Aesthetic Industry.. Turning The Dream of Edueconomy Into Reality..
CL Educate Partners With EvueMe.. Setting up a New Benchmark..
How To Start A Nail Salon Business..
Revolutionizing Handloom & Textile Industry..
“Indian Food Market is Exploding”.. The Evolving Male Grooming Market..
What Makes Robotics Learning a New Fad..
Highlighting the Positive Side of Supplements.. The Fast Evolving Education Industry..
Why Start An Edtech Business In Chandigarh..